This superb reference book achieved the status of 'classic' soon after its first publication in 1993; it was soon out of print and is now one of the most sought-after naval reference books.And with good reason. Offering an unprecedented range of descriptive and illustrative detail, the author describes the evolution of the battleship classes through all their modifications and refits. 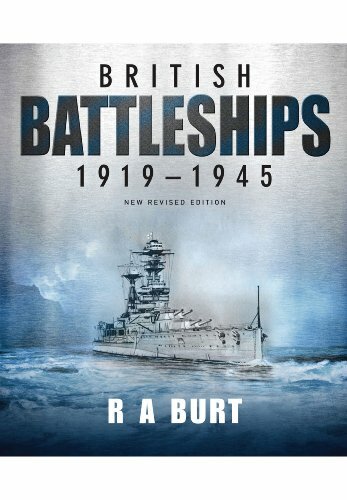 As well as dealing with design features, armour, machinery and power plants and weaponry, he also examines the performance of the ships in battle and analyses their successes and failures; and as well as covering all the RN's battleships and battlecruisers, he also looks in detail at the aircraft carrier conversions of the WWI battlecruisers Furious, Glorious and Courageous.British Battleships 1919-1939 is a masterpiece of research and the comprehensive text is accompanied by tabular detail and certainly the finest collection of photographs and line drawings ever offered in such a book. For this new edition the author has added some 75 new photographs, many of them having never appeared in print before, and the book has been completely redesigned to fully exploit the superb photo collection.A delight for the historian, enthusiast and ship modeller, it is a volume that is already regarded as an essential reference work for this most significant era in naval history and ship design.